Getting a life partner who is caring, love and dedicated to you is very rare. If you had got someone life this, then you should never lose him for any reason. Thanking such wonderful persons will make them feel happy and proud. Here are some cute, romantic and loving thank you images that you could share with your husband for his kind and supportive act. Thank you for the adorable fire engine sleeper and bib for Ben. You put a smile in our hearts. Can’t wait to send you a picture of him wearing it! I prayed to God and asked Him to give me a hand on this project. Instead, He gave me much more – a backbone in the form of a wonderful team like you all. Thanks guys. Have you thought about the person, who has a great influence on you? This person plays an important role in your life. You may think it's your wife, husband, mother or father. Perhaps, you'll be right if you don't have a job. But if you have, it's your boss, mentor or employer! Being in love and concern everyday will make your relationship strong and healthy. Never hesitate to thank your husband for his kind acts, support, love and concern he shows you. 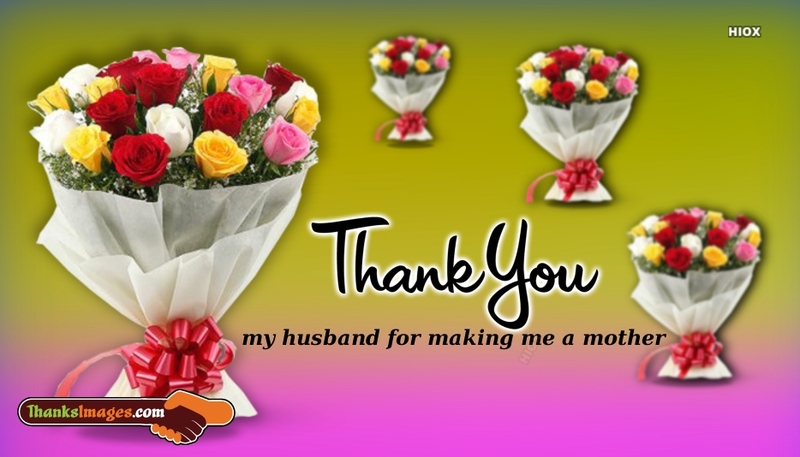 Download these amazing and wonderful collection of thank you images for your husband and share with him and let him know how thankful you are to your hubby. There is one foundation in the world that no earthquake or tornado can shake – the love of my husband. Thanks. The best way I can thank you for being the awesome husband that you are, is by being the most amazing wife that I can be. Every relationship has its fair share of problems, and ours hasn’t been immune. But love has made ours, my life’s most melodious tune! Thanks for everything. These thank you messages, sayings and quotes are sure to put a smile on the face your husband. Let him know how much you appreciate the efforts and support he does for you. My dear husband, thanks for making heavy words like compatibility and compromise seem like a breezy cakewalk in our married life. Thanks.... Not Just For What You Do...But For Being You!